Karen's interests include research into the impact of taxation and government regulation on financial decision making. Karen Alpert joined the school in 2001. Her research interests are in the areas of superannuation, financial literacy and taxation. She is an expert on US citizenship based taxation and its impact on nonresident US citizens. Karen completed her PhD on the effects of taxation on option exercise and put-call parity in 2004. How do retirees make decisions about how quickly to draw down their superannuation? We are looking at the impact of financial literacy as well as regulatory incentives. What is the impact of the US practice of taxing based on citizenship on the Australian assets (including superannuation) of both Australian-resident US taxpayers and US resident Australians? 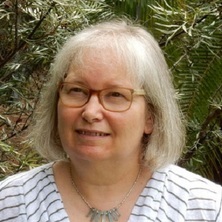 Karen runs a community outreach website on the impact of US taxation on both Australian-resident US citizens and Australian expats resident in the US at http://fixthetaxtreaty.org/. Alpert, K. and Knight, W.J. (2002). Effects of taxation for option writers. In: Accounting Association of Australia and New Zealand (AAANZ) 2002 Annual Conference: Program and Abstracts. AAANZ 2002 Annual Conference, Perth, Western Australia, (24-24). 7-9 July, 2002. Alpert, K. (2002). Taxation and the early exercise of call options. In: A. Pinnington, 4th Annual RHD Student Colloquium - Abstracts. 2002 Research Student Colloquium, Riverglenn Conference Centre, Indooroopilly, (3-3). 1 June, 2002. Alpert, K. (2001). Taxation and the early exercise of call options. In: Proceedings of the 14th Australasian Finance and Banking Conference. 14th Australasian Finance and Banking Conference, The ANA Hotel, Sydney, (). 17-19 December, 2001. Alpert, Karen. (2004). The effects of taxation on put-call parity and option exercise behavior PhD Thesis, School of Business, The University of Queensland.